Sunrising commits to develop fresh produce with Chinese characters in professional manner and establishes worldwide channel brand for fruits. Sunrising was found in 1996, set up by Chan’s family who has started the fruit business operation in Hong Kong since 1940’s. During the early days, Chan’s family has been developing its sales network and has successfully introduced various new produce varieties into Hong Kong and mainland China market. In Year 1996, Sunrising has developed its logistic team with several feeder vessels specialised in fruit forwarding service. Year 1998 was Sunrising's milestone year, at the time Sunrising set up a professional first-tier wholesale fruit market for imported fruits in Guangzhou, so-called as Lishui Market. Since then, Lishui Market has become Asia’s largest fruit wholesale market. In year 2003, Sunrising Agriculture was established which has a vision of developing its own quality produce with own brand aims to create one of the famous Chinese fruit brands. 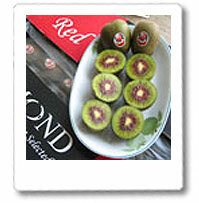 Sunrising decided to invest in kiwifruit which we considered this as the highly prevailing produce in China. Kiwifruit has been known as Chinese Gooseberry in China which was found 1000 years ago in China. The kiwifruit environment and variety resources in China are unique which has given Sunrising a strong support in this kiwifruit business development. In year 2005, Sunrising secured exclusive worldwide Plant Variety Right to “Hongyang" Red Kiwifruit which has brought industry attention and brought to consumer a new fascinating taste of kiwifruit. We have our own nursery, demo orchards, post-harvesting packhouse, and our farmer's cooperatives in China. Our farmer's cooperatives of Kiwifruits are comprising of 1000 growers in Sichuan Province. Sunrising’s professional production management team and our experience sales distribution network will be able to provide the best service to farmers and customers. For the coming years, Sunrising will keep on developing new exciting unique varieties, provide high quality produce through our professional production management and procurement teams, as well as strengthen the sales distribution networks through our professional innovative platform with the ambition of establising a strong worldwide channel brand for fruits. Sunrising Agriculture implemented a strict system for controlling production and farm management and our well-managed packhouse in Sichuan with a total area of 15000 square meters is managed to track supplies efficiently. We provide our growers with registered fertilizers and advice aimed at controlling chemical usage. The quality of our produce is traceable and all of our growers must become a member of the cooperatives before they can supply their produce to us. They are assigned with a code number representing their farm and the information is recorded on the fruit cartons. We constantly monitor the pesticide residue levels of our produce by fast-track test kits and thorough laboratory tests in agricultural universities, as well as qualified provincial laboratories. We are devoted to comply with export health requirements on pesticide residue levels.